2 Comments on Best Text Editors for MacOS: How to Choose Programming Editor? Which text editor is best for MacOS? This question is asked by both beginners and those who have been engaged in web development already for a long time. There is always something new, customer requirements change, personal skills increase, and it is logit that on this background appears a desire to automate routine processes for large projects and get as many opportunities as possible. 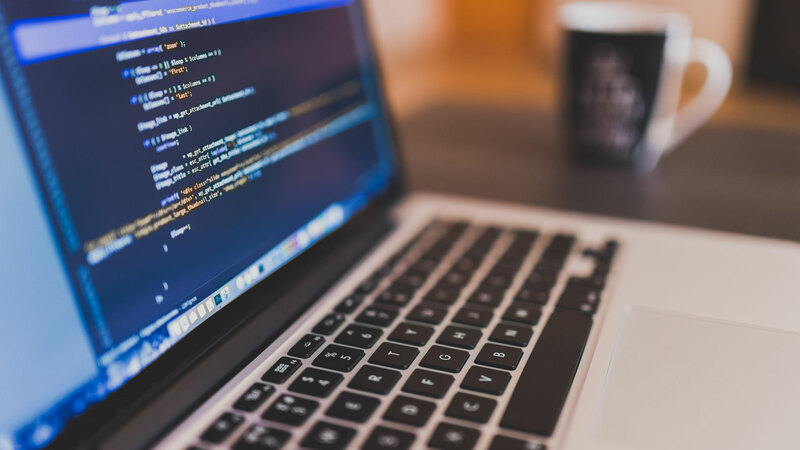 In this article, we have assembled the best text editors for web developers at the moment in our opinion. When in comes to code editing program no doubt that everyone is aware of Sublime Text. It is a sophisticated text editor for code, markup and prose. You’ll love the slick user interface, extraordinary features and amazing performance. Many of web designers are utilizing Sublime Text editor as their universal text editor. Notepad ++ is a free text file editor with syntax support for a large number of programming languages. The program has a wide range of options and is characterized by minimal CPU consumption. Among the advanced options Notepad ++ is the option of text highlighting and the ability to collapse blocks, according to the syntax of the programming language. The user can independently determine the syntax of the programming language. It is possible to adjust the backlight mode. Highlighting of directives and operators of a programming language is also available. Notepad ++ provides the ability to view and edit several documents at the same time. You can also view and edit the same document in different places in the two windows. Changing the document in one window will be automatically moved to the second window (i.e. you edit one document that has a clone in the second window). Brackets is a free editor with a minimum of the distracting functions. Brackets is one more assistant on establishing order in a code. It can be convenient for the work with CSS, namely at navigation by a code. The editor is arranged in such a way that all necessary tools are within reach of one’s hand. There is no need to switch between tabs. Brackets focus on the right sections of the code and offer links to navigate to other files. Brackets is a modern open source editor with several extremely interesting features. For example, when using Adobe Creative Cloud Extract (preview), you can see parts of the design of the project being developed, such as colors, types, stories, etc. directly from the PSD file and convert with minimal effort into the correct CSS code. Another advantage of Brackets are the additions that you can use to customize the editor for your needs. Every 3 to 4 weeks new extensions become available. Also in Brackets, you can use “quick editing” and “preview” when working with LESS, as well as SCSS files, which simplifies the work process. Together with these and other extensions and Adobe Creative Cloud, this editor can be an excellent tool for professionals. In addition, you can extract layers as images, and use information from PSD as variables in preprocessors. It also allows you to determine the distances and proportions of elements without leaving the editor. CodeRunner is an advanced code editor with which you can not only easily edit the source codes but also run them using built-in compilers/interpreters, flexibly customize the working environment for a specific language, and create your own templates for certain file types. CodeRunner has been built taking into account the fact that the user has to have access to continuous running of the code in any language. You can write a code to CodeRunner in 23 languages which quantity is constantly growing. Any programmer can not underestimate the importance of good code completion. CodeRunner understands the needs of its users and supports the full code completion of the IDE level for many languages. The fuzzy search, documentation fragments, and tab selected placeholders are also available. CodeRunner provides an opportunity for setting breakpoints. This allows you to write lines of program text with methodological accuracy. Just click on the text edge to set the breakpoint and start debugging. As you can see, the functionality of modern editors is quite extensive, so the choice depends on the used platform. We did not specify places in the ranking, as each of the listed programs has its advantages and disadvantages, which can play an important role for one person and can be quite insignificant for another. Therefore, we recommend that you install and try each of the programs in practice to draw conclusions by yourself. Moreover, it is absolutely free. So which editor do you prefer for web development? Do let us know in comment section below. Is the New WordPress Editor Gutenberg the Next Big Thing? I have used Sublime Text from the time since I started web development. But after this article I realised there are more programs for MacOS (I wasn’t aware of anything other than Sublime). After checking all I found Brackets as my first mate, because it supports live preview of my CSS work. Thanks bro. Glad to know I have helped you in minimizing the workflow. Welcome brother.